Buttermilk Channel | Oh No! Not Another NYC Food Blog! American bistro-style restaurant that focuses on just plain good food in Carroll Gardens. 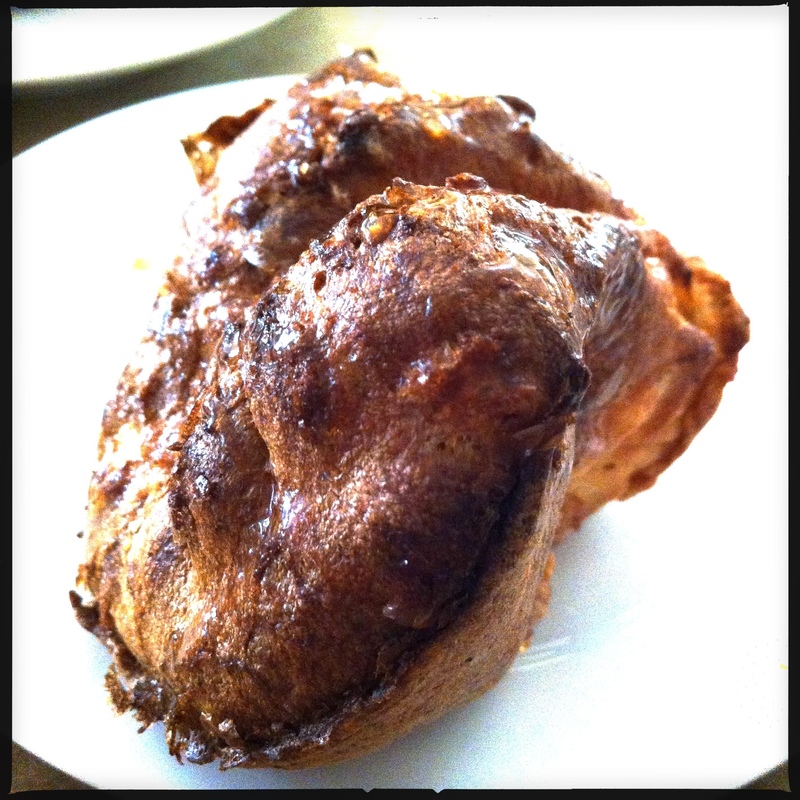 A light and surprising little Yorkshire pudding popover. 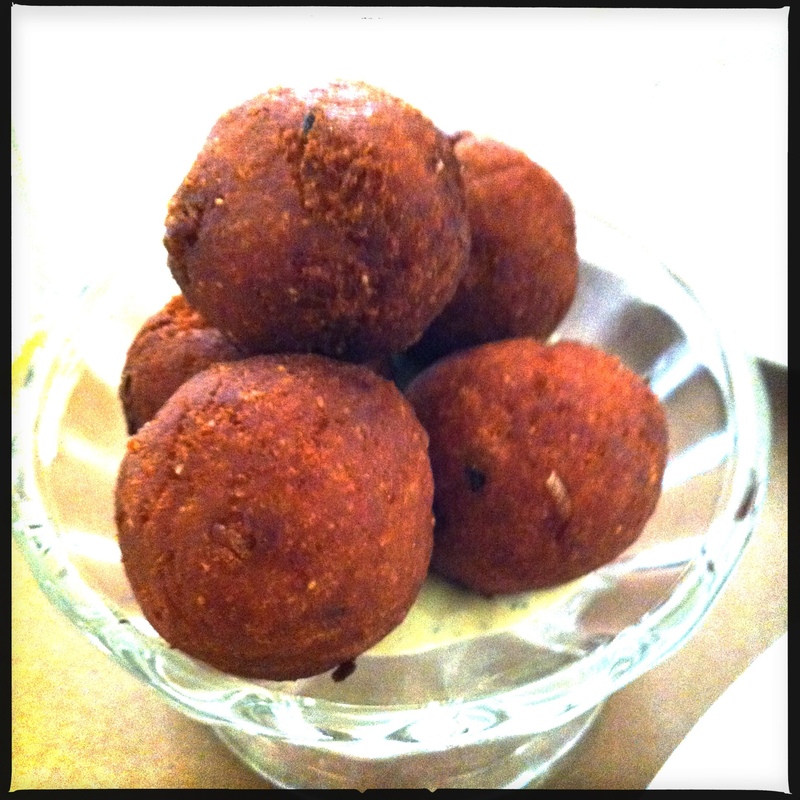 Hushpuppies with Green Chili Aioli – Crumbly, sweet & yum puppies. The aioli was good, too. 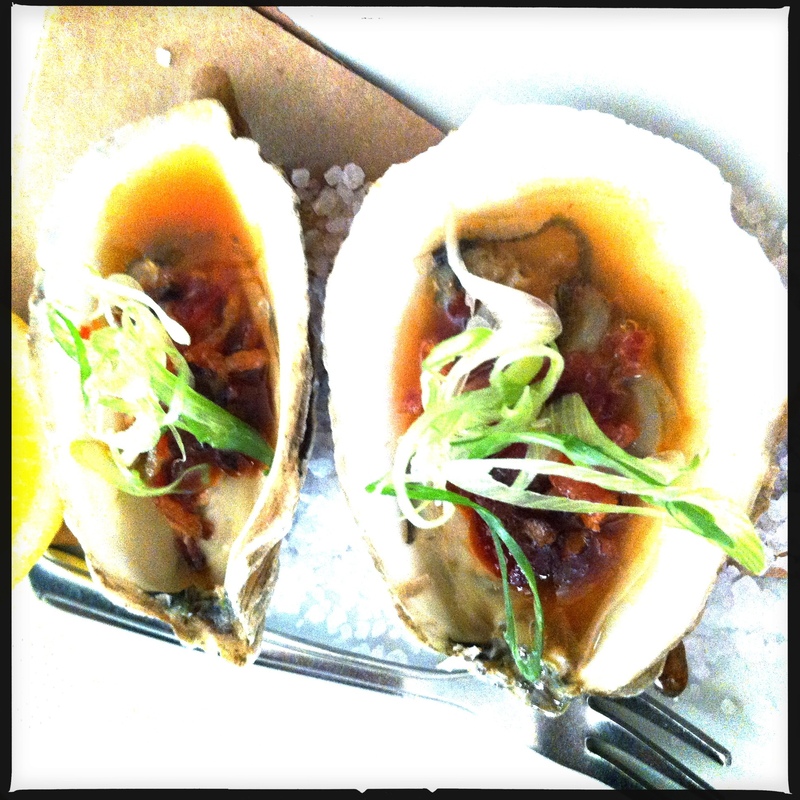 2 Grilled Oysters with Bacon – Perfectly lightly smoked (but still mostly raw) oysters with nice smoky bacon and a devilishly good spicy sauce. 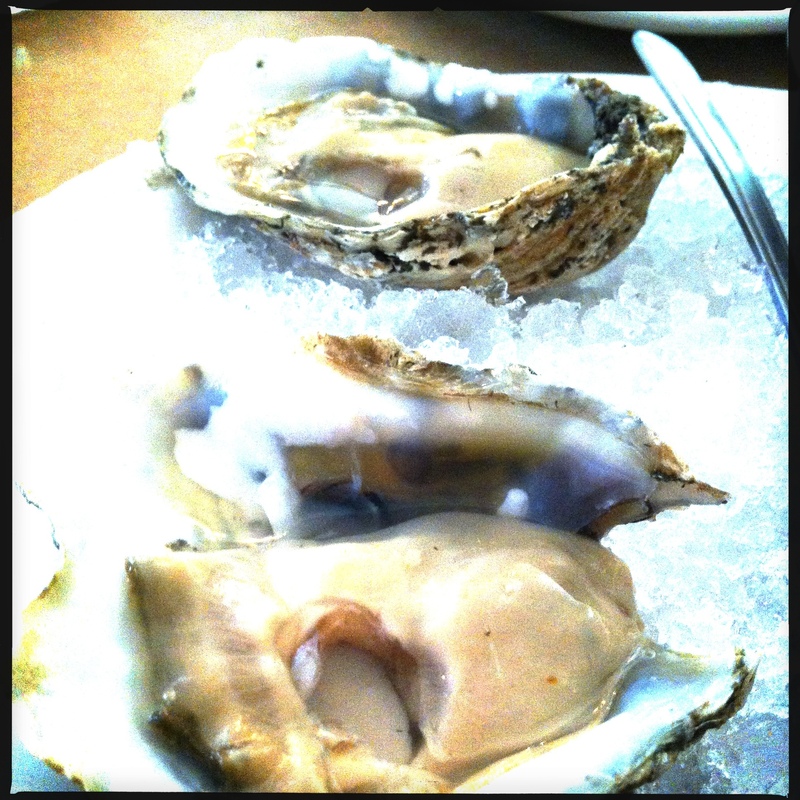 2 Chilled Oysters with Grapefruit Mignonette – Briny, bright and bracing raw oysters with a great vinegar punch. I had the Saturday lobster dinner special. 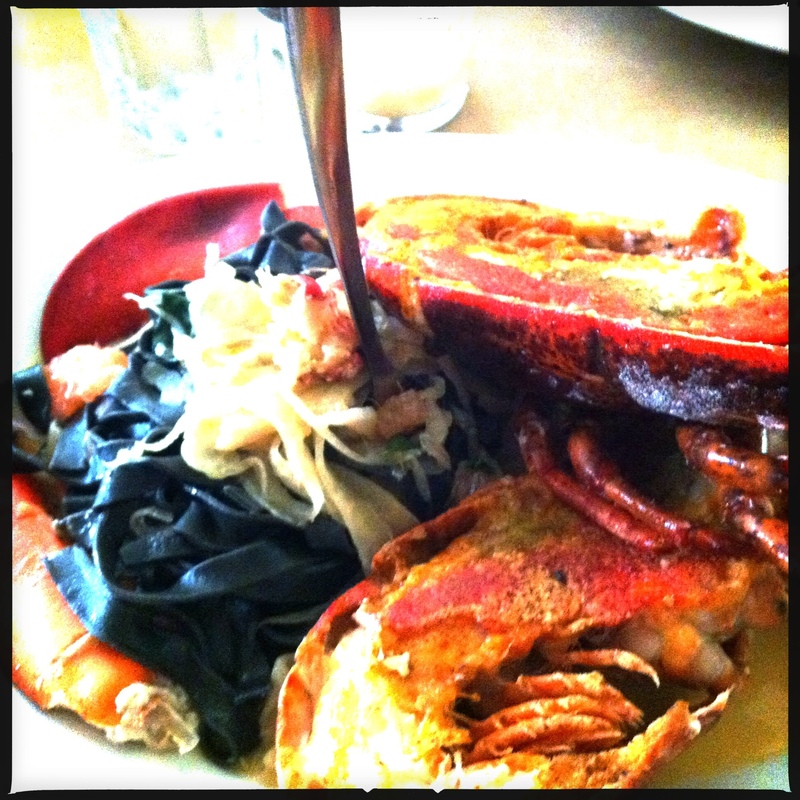 This week’s entree was a split 1 1/2 pound lobster with fresh squid ink pasta & grapefruit. Omfg this was good. Perfect lobster with buttery and light pasta – a knockout. 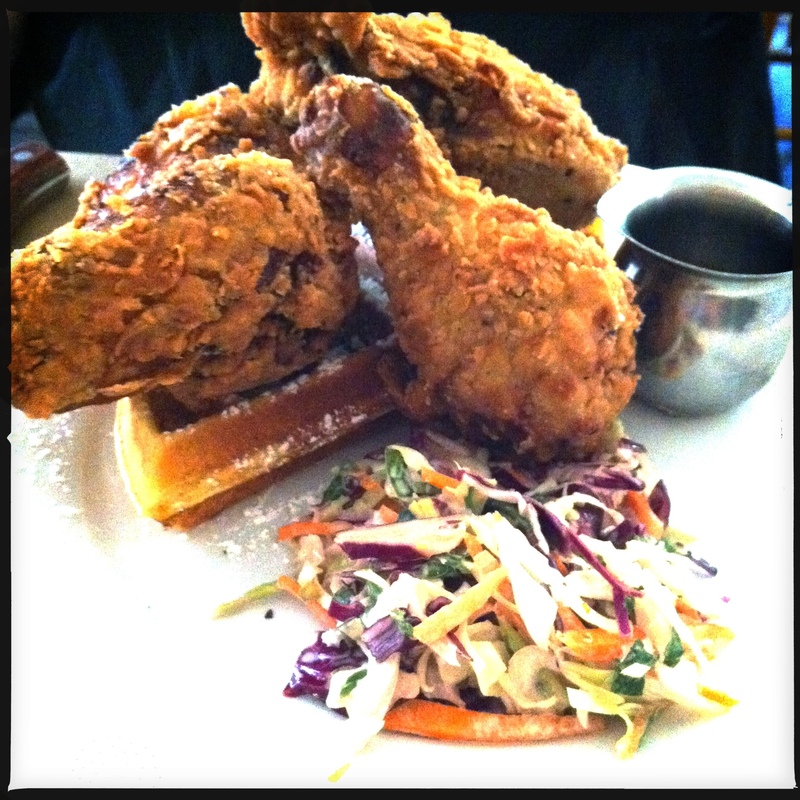 My DH had the Fried Chicken with Cheddar Waffles and Savoy Slaw – This chicken was awesome (crunchy, juicy, perfectly seasoned) and the molasses syrup was a pleasant surprise. The slaw was also nice – colorful, crunchy & lightly dressed. Nice and simple – calm, plain, letting the food speak for itself. Good. Friendly and willing to explain menu items (like just how big the lobster special was). Yum. This is a great little place. We’ve got to plan a trip back on a Monday to hit the ridiculously reasonably priced ($25!) tasting menu. 5 out of 5. Run, don’t walk. You won’t be disappointed.